Cells constantly make new proteins under the guidance of the genetic programme. 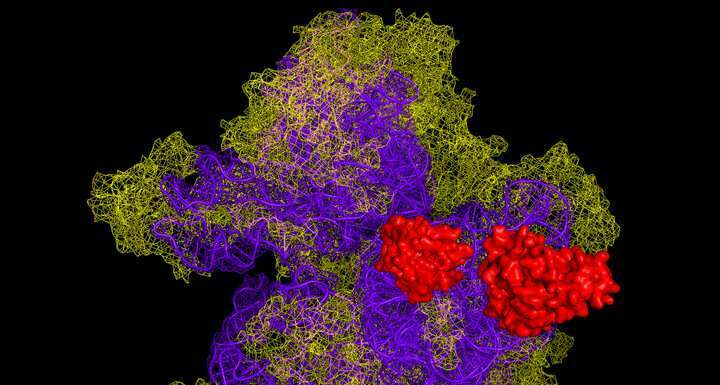 Proteins are chains of amino acids synthesised by a special molecular machine, the ribosome. The amino acid sequence is encoded in a template, the mRNA molecule, and the decoding and synthesis process is called translation. In order to synthesise the right protein, a ribosome must attach to mRNA, find the correct point for starting the synthesis, then read the entire coding region and release the finished protein. All these translation stages are already relatively well understood, but the fate of the ribosome after it has finished its work remained elusive. In the new study, U.S. and Russian scientists studied a family of proteins that includes MCT-1, a product of an oncogene, its partner DENR, which is associated with autism, and the translation factor elF2D. "We discovered factor elF2D as early as 2010," says Sergey Dmitriev, co-lead of the Russian part of the project, senior researcher at the Engelhardt Institute of Molecular Biology, Russian Academy of Sciences (RAS). "We characterised its biochemical activity but, at that time, there was no clear evidence of the role played by this protein in the living cell. Since then, a number of high-impact papers have been published suggesting that eIF2D and two similar factors, MCT-1 and DENR, can be involved in reading a special class of mRNA. These mRNA molecules have additional short reading frames, so-called uORFs, before the main coding region that encodes the main protein." Such uORFs can also be read by a ribosome. In many cases, this prevents the ribosome from reaching the main coding region, thereby regulating production of the main protein. As short uORFs are present in approximately half of the human mRNAs, it was important to find the possible role of eIF2D, MCT-1 and DENR in their translation. Yet attempts to pinpoint the function of their factors or shed light on how they work in the human body remained unsuccessful. "Thus, we turned to simpler organisms, such as yeast," says Desislava Makeeva, a Ph.D. student in the School of Bioengineering and Bioinformatics, MSU and co-author of the article. "We worked with yeast strains that had no genes of these factors. Our partners from the National Institutes of Health, U.S., applied ribosome profiling, allowing translation in mutant cells to be studied systematically, while we took on the biochemical part." Ribosome profiling is based on high-throughput sequencing of millions of small mRNA fragments covered by translating ribosomes. This breakthrough technique shows the full picture of protein biosynthesis in a cell at a particular moment. In other words, it takes a "snapshot" of translation of all mRNA molecules under specific conditions, and allows the intensity of the process to be determined for each mRNA. "In our laboratory, this method is used to study translation in mammalian cells," explains Sergey. "But our American colleagues applied it to yeast. However, the data obtained with such systems approaches should be verified by classical methods to avoid misleading interpretations. To this end, we used cell-free translation systems .We prepared yeast cell extracts, added mRNA that had been synthesised in a test tube and observed how much product was synthesised from these RNA molecules in the case of yeast strains with or without mutations in a particular gene."